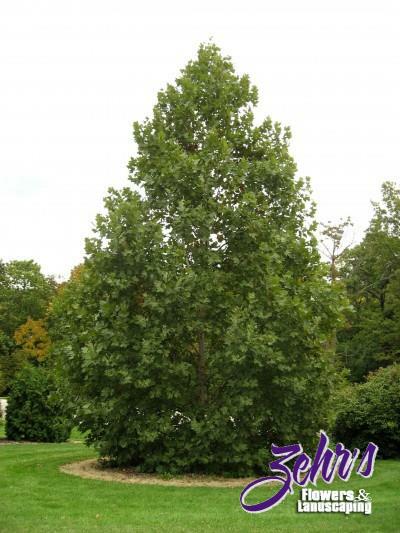 This stately tree was selected for its strong central leader, dense upright pyramidal shape and attractive foliage. Tolerant of difficult urban conditions such as adverse soils, poor drainage, air pollution, and drought. Like all planetrees, it develops an attractive exfoliating bark, which peels back to expose interior bark in shades of cream to white. Bred to be highly resistant to anthracnose. Introduced by Chicagoland Grows®.